Spotify has revealed that it has paid $150 million back to music labels since it launched three years ago. 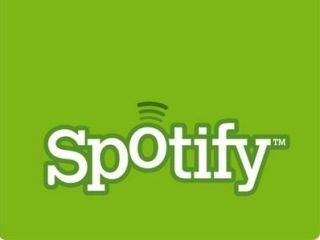 The company's founder and CEO, Daniel Ek, took to the stage in New York to announce Spotify's new music app store, where he also talked about Spotify's successes to date. As well as explaining that the company has paid its music industry dues, he added that Spotify is now second only to iTunes in terms of creating revenue from digital music in Europe. Other juicy stats announced include the fact that Spotify is still adding around 20,000 songs to its catalogue a day – news that will go some way to reassure those who were shifting uncomfortably in their seats as 200 independent labels ditched the streaming service earlier this month. "It would take someone 100 years – literally a life-time – to listen to all the music in the Spotify catalogue," said Ek. As revealed earlier in the week, Spotify has benefited hugely from its partnership with Facebook, having added 7 million new users since it was unveiled in September. The company has seen playlists as the key component to the Facebook integration, with Ek excitedly exclaiming, "Playlists are really the new mixtape." They're certainly quicker and easier to make, with 500 million playlists having been made in Spotify, a number that has doubled since July. "We want music to be like water," Ek explained. "Available everywhere, available seamlessly."